The STEAMuseum is a cultural space created by and for a new generation of digital learners. It features digital exhibits that were developed by high school students from different countries working together virtually. The first exhibits were piloted by students from sister cities Chicago and Casablanca. "STEAM" stands for Science, Technology, Engineering, Art—and in this case—Museum. These are disciplines and practices that cross cultures and provide common ground for people from different backgrounds to get to know one another. Students engage in a series of activities over the course of the school year that takes them through a basic exhibit development process. These activities are not just about exhibit-making, however; they are also about building the skills needed for the 21st century work world: digital literacy; language competence; and global collaboration. 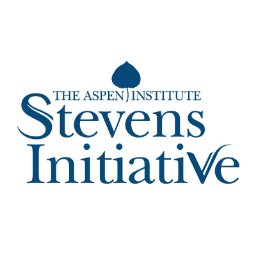 The STEAMuseum gratefully acknowledges the support of the Stevens Initiative. The STEAMuseum is a project of The Stevens Initiative—a public-private partnership that was created to support virtual exchanges between youth in the United States and the Middle East and North Africa as a lasting tribute to the legacy of Ambassador Chris Stevens. By using technology to connect young people, the Initiative aims to increase mutual understanding and impart the skills needed to succeed in a global, digital 21st century world. Chicago Sister Cities International, a division of World Business Chicago, works with Chicago’s 28 sister cities to develop and manage programs in the areas of cultural arts and tourism, global education, government relations and international business through people-to-people diplomacy. IDMAJ is a non-profit organization based in Casablanca which provides dozens of programs and support services to poor and marginalized populations, especially youth. CALC provides professional development workshops for teachers and curriculum development materials, and acts as a clearinghouse for Arab cultural events. DYN offers programs designed to improve youths' digital literacy by providing access to and training on technical tools; they also provide training to organizations, educators and researchers.